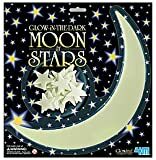 These Glow Moon and Stars are so much fun! For only $3.99 on Amazon.com. Free shipping if you have an Amazon Prime trial.